The Ukrainian Foreign Ministry believes that intensification of the militants’ aggression in Donbas, supported by Russia, is aimed at derailing the “harvest ceasefire” regime. “We are particularly concerned over the damage of a residential house in the town of Krasnohorivka, Donetsk region, as well as over the attack of a Russian subversive group on the outskirts of this town on 20 July. We consider these actions of Russia and the militants it backs as a deliberate step to disrupt the “harvest ceasefire”, which was due to last, as agreed in the framework of the Trilateral Contact Group, from 24 June until 31 August. Over a short period from 18-20 July Ukraine lost 11 servicemen, while 15 other service personal and two civilians were wounded”, the statement reads. By the activities of its forces in the area of Russia-instigated international armed conflict in Donbas, as well as by provocative and aggressive actions of its proxies, the Kremlin deliberately undermines the process aimed at a peaceful resolution of the conflict, based on the Minsk agreements, the Foreign Ministry stated. “We demand from the Russian Federation an immediate halt to the armed provocations, which are increasing the number of casualties and the destruction of regional infrastructure. 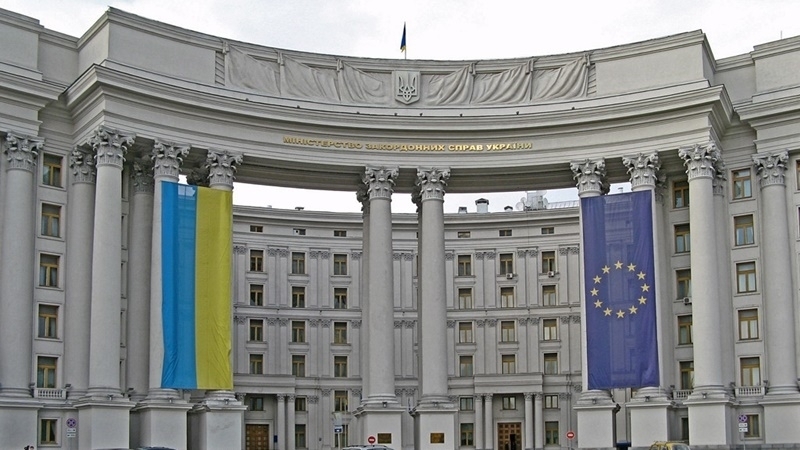 Furthermore it must start to fully implement its own commitments under the Minsk agreements”, the statement stressed. Reportedly, the Ministry of Foreign Affairs of Ukraine stated that the Russian Federation was against the deployment of the OSCE SMM all along the border, as it intended to continue supplying weapons to Donbas. Earlier, 9 soldiers of the Armed Forces of Ukraine were killed as a result of shelling and fighting in Donbas on July 19-20.